Featured amenities include luggage storage, a safe deposit box at the front desk, and an elevator (lift). Limited parking is available onsite. With a stay at Hotel Romantik in Lignano Sabbiadoro (Sabbiadoro), you'll be a 4-minute walk from Punta Faro Marina and 9 minutes by foot from Tennismo Lignano. 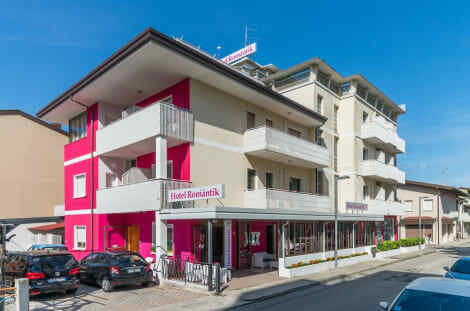 This hotel is 10.2 mi (16.4 km) from Bibione Beach and 1.2 mi (2 km) from Parco Junior.